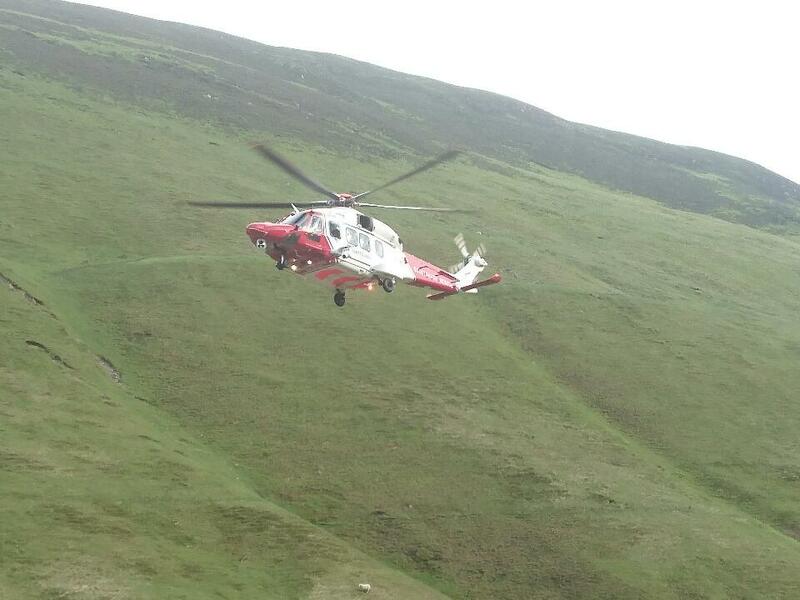 At 1600 hours on Saturday 26 May 2018 Police Scotland called out Moffat Mountain Rescue Team to rescue a female walker with a suspected broken ankle near the Grey Mare’s Tail Waterfall near Moffat. The team attended with 12 team members along with Scottish Ambulance Service, Police Scotland and Coastguard Rescue Helicopter Rescue 199 from Prestwick. Rescue 199 lowered a paramedic to the scene by winch while team members made their way to the casualty site on foot. The casualty was transferred to a stretcher and winched into the helicopter while the team tended to a highline to ensure the stretcher did not spin in the downdraft from the rotors. Rescue 199 then flew the casualty to the Dumfries and Galloway Royal Infirmary.